Looking for a good investment to increase the value of your Baltimore County home? Consider sunrooms! They provide a great spot for conversation or relaxation with plenty of sunlight, and without having to worry about the weather. Not aware of the benefits of sunrooms? Keep reading to learn why this addition should be considered as a new addition to your home. Whether you’re looking to sell your home in the future or pass it down to family members, sunrooms are a valuable addition. They not only increase home value, but also add curb appeal. Family and friends will be thrilled to gather in a nice, naturally-lit sunroom any time of year to enjoy the view of nature or relax. This makes it an extremely valuable addition to any home. Sunrooms are a great addition for any home due to their many uses. Want to have coffee and talk with friends? Sunrooms make a great place for conversation. When curling up with a good book, watching a movie, or simply enjoying some relaxation time, the ambiance of nature through a sunroom’s large windows makes a prime spot. Whether watching the snow or watching the kids or pets play in the yard, sunrooms can be enjoyed by everyone. 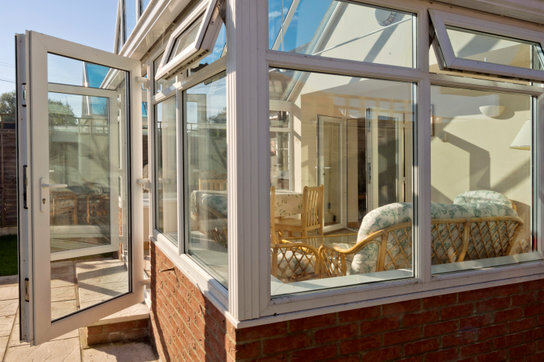 Considering an addition such as a sunroom to your home? Contact Freedom Fence, Baltimore and Harford County’s top contractor for sunrooms, fencing, decks, and more. If you have any questions about sunrooms in Baltimore County, please contact Freedom Fence and Home by calling 443-271-6841 or visit our website. You can also follow us on Facebook and Twitter! This entry was posted on Wednesday, December 16th, 2015	at 3:01 am	. Both comments and pings are currently closed.